Although originating in France and particularly identified with the work of composer Gérard Grisey, Spectralism also flourished in Romania. Horatiu Radulescu (1942-2008), a Romanian composer who for a period took up residence in Paris, crafted a Franco-Romanian Spectralism with unique characteristics of its own. 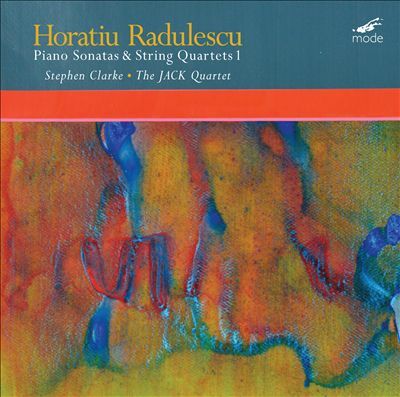 The three works presented on this CD—two piano sonatas played by Stephen Clarke and one string quartet—trace the development of Radulescu’s variation on Spectralism in the period 1990-2003. Radulescu studied in the Bucharest Academy of Music in the late 1960s, relocating to Paris after his graduation in 1969. In the early 1970s, he took summer courses at Darmstadt with Cage, Ligeti, Stockhausen and Xenakis. He continued to esteem Xenakis’s music throughout his life. Also in the early 1970s he was a student of Messiaen at the Paris Conservatoire. His artistic aim was to create a “sound plasma” of dynamic musical textures through which the listener could become immersed in the microtonal nuances deriving from the overtone series. He drew inspiration from the Tao Te Ching of Lao Tzu as well as from Pythagoras; many of his works—including the three on this release—are titled or subtitled with lines from Stephen Mitchell’s translation/paraphrase of the Tao Te Ching. The two piano sonatas—No. 2 of 1991 and No. 5 of 2003—represent a kind of synthetic Spectralism—a Spectralism that is concerned with natural harmonics, but as interpreted through the instrument’s equal temperament. Also part of the synthesis is Romanian folk song, which provided Radulescu with melodic source material. The sonatas are distinct from Radulescu’s early experiments with retuned, bowed piano and show him now turning to the conventional piano. Piano Sonata No. 2, which is from a set of three piano sonatas (Nos. 2, 3 & 4) commissioned by pianist Ortwin Stürmer, incorporates themes taken from the Bb, C and B overtone series as well as a hexatonic mode with a B root. The textures are sparse and prismatic, and appear to develop their thematic material through repetition and fragmentation. Piano Sonata No. 5, like No. 2 a three-movement work, arranges Romanian folk motifs in multi-tempo canons in which the modal flavor of the melodies is particularly pronounced. The CD’s centerpiece, both literally in terms of its placement and figuratively in its capacity to compel attention, is Radulescu’s String Quartet No. 5, titled “before the universe was born.” Realized here by the JACK Quartet, the piece is a tour de force of extended timbre amounting to a sort of dissonant counterpoint with instrumental color. The glassy sounds of sul ponticello bowing and high harmonics, and the frequent uses of multiphonics all make for an otherworldly sonic texture—quite literally, as at times the quartet sound as if they’re channeling the rising and falling squeals of extraterrestrial lightning-generated radio waves. It is a powerful performance of a thrilling work. 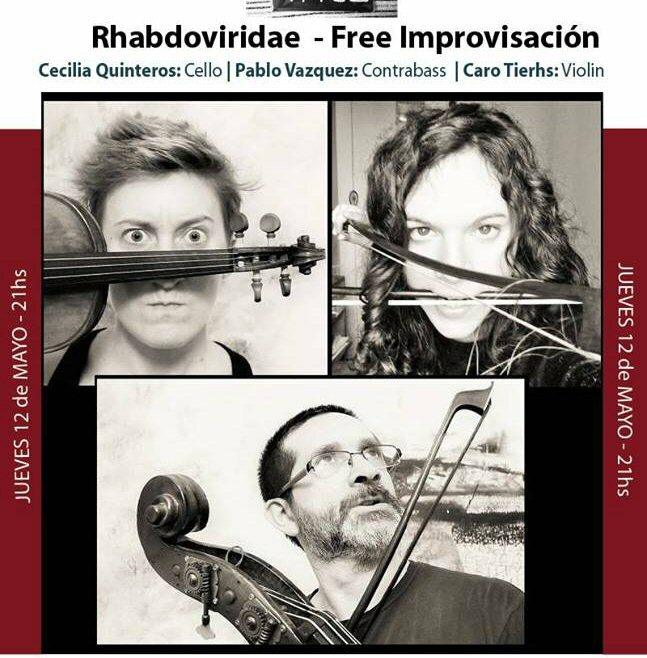 Vio Garcia/ Mauro Sarachian/ Juan Ferreras/ Guido Kohn ……CELLOS !! This evening will feature three world premieres by Roscoe Mitchell, Petr Kotik, and Lucie Vítková. The concert also features works by Stockhausen, John Cage, and George Lewis. The Transient Canvas duo and Chris Watford (bassoon) join up for a program exploring radical new sonic identities of the bassoon, bass clarinet and marimba. With raw, primordial, and human tapestries, each work transforms the instruments in strange and startling ways. Miranda Cuckson and Blair McMillen celebrate the release of their new album with music by Bartok, Stucky, and Carter. International Contemporary Ensemble performs works by Ashley Fure, Chaya Czernowin, and Luigi Nono, and Mivos Quartet performs works by Helmut Lachenmann and Scott Wollschleger. ZOFO performs duet works from their album ZOFO Plays Terry Riley, including pieces written by Terry Riley for four-hands piano: Etude from the Old Country, Waltz for Charismas, Cinco de Mayo, and Half-Wolf Dances Mad in Moonlight. The duo will also present world premieres of self-commissioned works by Katherine Balch and Dylan Mattingly along with work by David Lang and Urmas Sisask. Diamanda Galás presents Death Will Come And Will Have Your Eyes as part of the Red Bull Music Academy Festival. Talea Ensemble performs music by Karlheinz Stockhausen, and S.E.M. Ensemble performs music by John Cage, Morton Feldman, Iannis Xenakis, and Stockhausen. Jenny Scheinman presents Mischief & Mayhem, featuring Nels Cline, Jim Black, and Todd Sickafoose. Lindsay’s program, which will be announced from the stage, will include music that echoes themes of cultural experimentation and cross-pollination, drawing on elements from American and Brazilian rock, pop, experimental music, and improvisation. ensemble mise-en performs works by Matthew Schickele, Amanda Feery, Matthew Barson, Su Seungeun Lee, and Vin Calianno. FEN (Far East Network) makes its North American debut at Japan Society. Led by pioneering Japanese experimental musician Otomo Yoshihide, FEN includes three musicians from neighboring countries: Ryu Hankil (S. Korea), Yan Jun (China), and Yuen Chee Wai (Singapore). The group performs two sets: one at 7PM and one at 9:30 PM. Vocalist Paul Pinto joins Tenth Intervention in an evening of absurdity, featuring Peter Maxwell Davies monodrama Eight Songs for a Mad King. Also on the program is Sequenza V by Luciano Berio, performed by trombonist Mark Broschinsky, and a world premiere of Velocirapture by Matt Marks. This month at Reinterpretations, composer Ramin Arjomand presents a world premiere performance of his Salve Regina, a rhythmically complex, unrelentingly polyphonic 25-minute work for string quintet that uses an 11th century Marian antiphon as its inspiration. A discussion will follow, providing context for the compositional process used in Salve Regina, with musical examples, examining the expressive and esoteric uses of counterpoint as a cornerstone of Western European musical thinking.